No No, No No No No, No No No No – No No there’s no Lipstick! You will see a trend in all this lip sticks in that they are mainly red or pink and this is my first red one. To be honest you can see from the lipstick itself that it has hardly been used, its from ELF and it’s from their £1.95. You may say you get what you pay for and I do honestly think that that is correct with this lipstick. Okay its quite rich but this is after many different applications, its very creamy and if you are wishing for defined lips you are not going to get it with this lipstick. As it is creamy, its also very easy to come off which isnt that great to be honest girls. Sorry ELF (eyes lips face) but I love a lot of your products but not this one. This is a weird one, again it is the same lipstick brand as above and again its £1.95 but look at the difference between what you see as the lipstick colour brand and what colour comes out on my lips. I know sometimes that lipsticks do this but the one of the left looks pale pink and in my opinion my lips look a more lilac colour. Like the one before its a creamy texture and although this one was a lot easier to apply, it picked out weirdly all of my “chapped” skin on my lips that I didnt think I had. Which in turn although the lipstick was nice and smooth it didnt make my lips look smooth, just looked weathered and worn. LOL seems that ELF is getting a beating tonight on my reviews, its not the case there are other brands coming up I promise. Now when I was taking these photos I wanted to get this product off pretty quickly from my lips. I really do not like it, its the “plumping” lip gloss and whilst I do not see any plumping going on, I feel a lot of tingling sensation, a seriously minty burning feeling and I didnt even want to apply the white layer to my lips. When I say burning, its hard to describe….. kinda like you have a sour and minty balm all across your lips and the cold air is blowing on them hard…. yes weird I know. I don’t like it at all. Again £1.95. The colour is very much a blood colour, thats the best word to describe it. So when I was buying the previous plumping glaze lipgloss, I thought I would go for the pinker version. Its a lovely colour but yet again the same sensations come along and yet again I wanted it to get off my lips straight away. You could probably tell by my lovely lip photo in the middle that I wasn’t enjoy it haha! Again I didnt try the white side because I am 1 – a chicken 2 – not stupid to hurt my lips any more. If you follow this blog and you read it (well done and thank you! ), but back to me – I love matte lipsticks, like Kate Moss line is my ultimate favourite and I thought I would go for a cheaper version and this is the brand new MUA version. I did like it at first and it was a lovely cheap option, I also bought it in a deeper red as well to compare to the Kate Moss 107…….. but, I slowly started going off it. This colour like the ELF colour above, shows up all the lines, wrinkles, loose skin and just lots of things I am not too keen on it. The matte quality about it, still has a shimmer and a bit of gloss to it, which in my eyes is not a matte finish. The application of this colour was about 2/3 coats and that really isnt cost effective and although like I said a nice shade that’s about it. Sticking with MUA, I thought I would try out their Luxe brand and I would go for the hot pink version and I love the packaging its gorgeous. The wand is beautiful, deep and a lovely applicator but it is the strangest product I have ever bought. When applying as you can see on the right hand side there is a gloss finish to it, give it about 30 seconds (try not to smudge it not onto your lips – terrible to get off) and after 30 seconds its dried into a matte finish. Amazing idea for any lipstick, its kinda like having a matte finish nail varnish but just on the lips – I wish there was more of this around. But as it drys it becomes darker, more prominent and I felt like an absolute clown wearing it. No girl wants to be compared to a clown………..ever. They have brought out later shades I may buy but not convinced at the moment. My final product is the Rimmel London Apocalips – Apocaliptic. 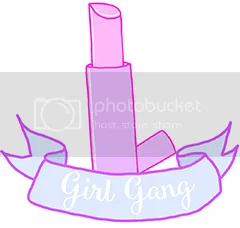 I originally saw this on the beautiful Abbie (Harley from Ben and Harley’s Vines) Instagram, and I asked the lovely Abbie as to what lipstick she was wearing and it turned out to be this lipgloss. I have never bought anything like this before and the shade above in the MUA version is very similar with the texture. The wand has a dip for application, the gloss itself is quite thick so you really only need a small section to apply to your lips. In my photos I have tried to not tidy up what it looks like, I have literally applied it and took the photo and then smiled…….. unfortunately in the smiling photo you can clearly see I have lovely red/pink teeth!! Well hello lip stain. Big turn off, I did this a number of occasions, taking the gloss off and trying it again and it happened again and again. Unless I have big teeth or I move my lips weird when I talk, this is just weird. The shine on this is huge by the way, it felt like I had put paint on my lips and went LOOK AT MY LIPS!!!! Anyway, I hope you enjoyed this – I do try and be as truthful as always. I hope the brands aren’t pissed off with me, it’s only my views. Previous Pressures to be “normal” weight…. I really want to try the matte formula from MUA!!! try it, as its cheap its not gonna hurt if you dont like it – but I didnt particularly like the shade that I bought. I am so surprised you don’t like the apocalipse! I honestly think they are great however I get what you mean about the teeth thing!